Donald Trump is looking to visit the UK in late summer, according to a senior official in his administration, Telegraph.co.uk reports. "I know the president, late summer, is looking at a visit to the UK," the official said. Mr Trump has yet to travel to the UK since being elected in November 2016. No date has been set for a state visit following an invitation extended by Theresa May in the week that followed his inauguration in January 2017. The visit this summer would more probably be a working visit. In January Mr Trump had been expected to open the new US embassy in London but cancelled, saying the building was too costly and in an "off location". 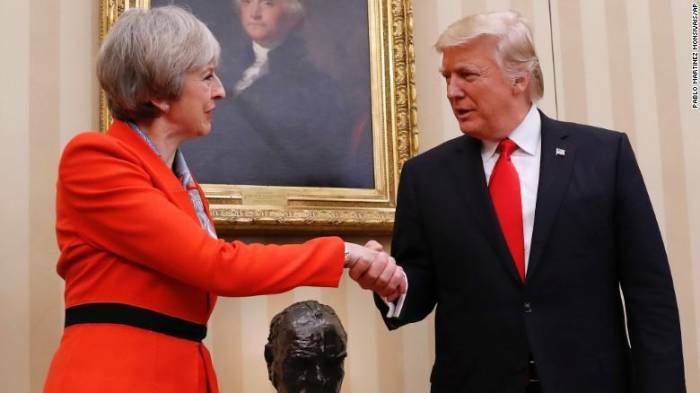 Mr Trump reportedly told Mrs May at the annual World Economic Forum in Davos later that month that he would visit in the summer.